Save hours configuring project workflows, roles, and notification schemes. Clone issues, attachments, components, issue links, versions, and subtasks with just a few clicks. 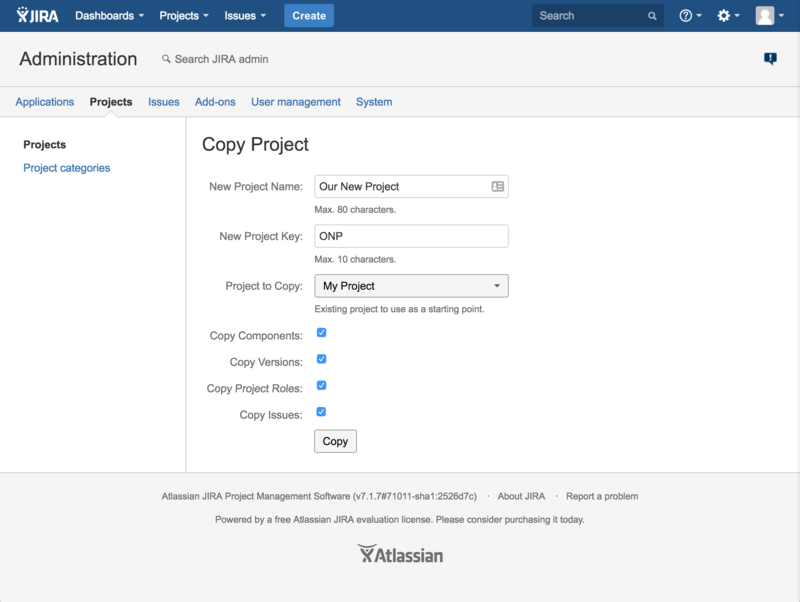 Learn more about the Jira Copy Project Plugin. Need help using our add-ons? Export JIRA issue search results to a CSV (comma-separated values) file for analysis outside of JIRA. Open the file in Excel or other spreadsheet software to easily create custom reports in the productivity tools you already know and love. Learn more about the Jira Issues CSV Exporter Plugin.